Size: 48" x 36" 77.5"60" x 32" x 77.5"48" x 36" x 77.5"
Establish a brand new look for your bathroom with the Aston Moselle Frameless Sliding Shower Door. 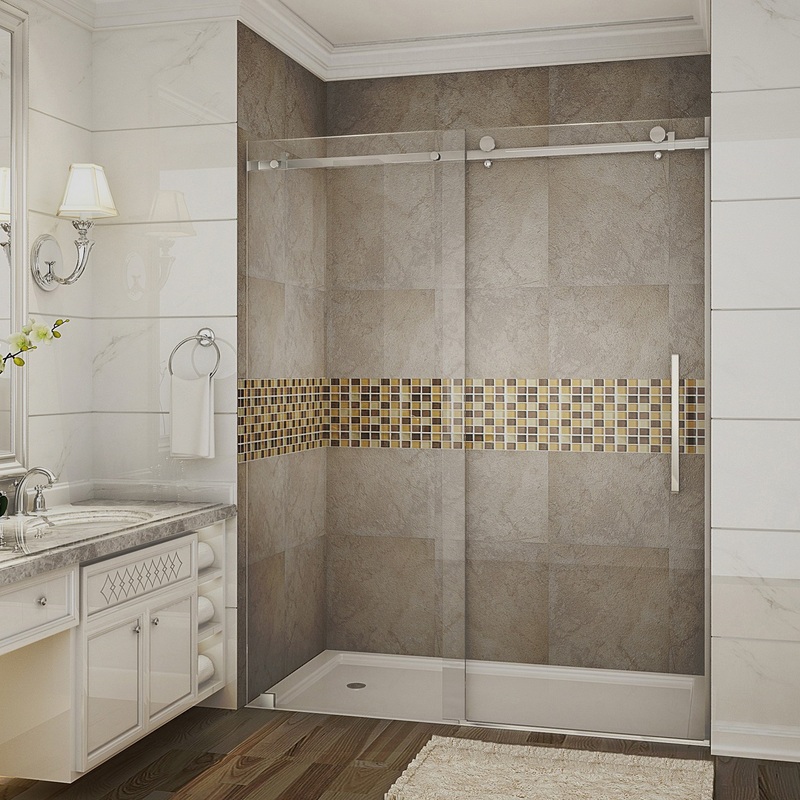 This door is the perfect compliment to a smaller shower alcove you may have. 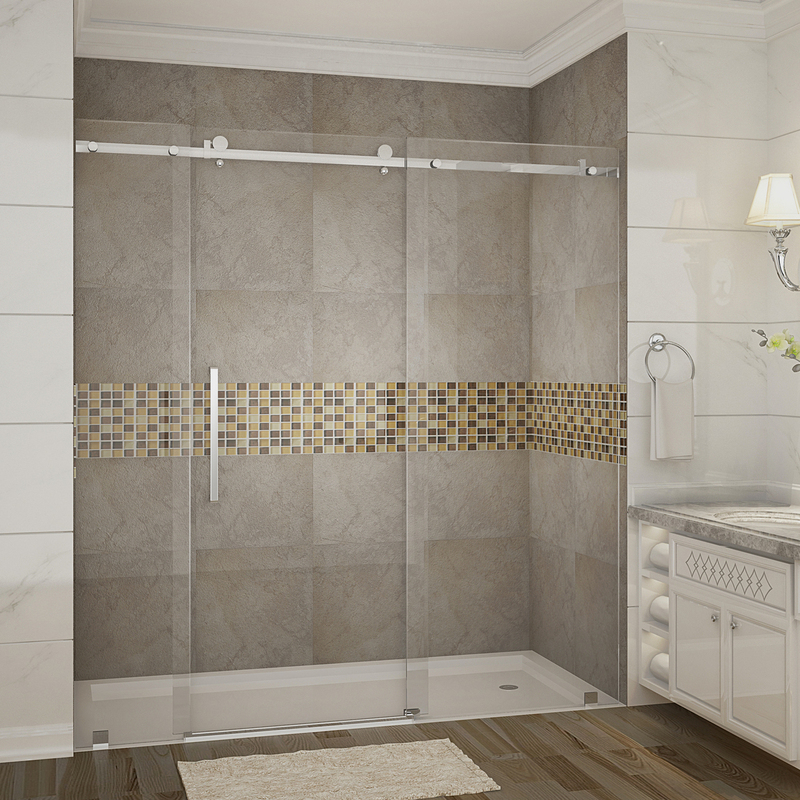 Accentuated with either chrome or stainless steel finished hardware, premium, thick 3/8" (10mm) ANSI-certified tempered celar glass and deluxe full-length clear seal strips to prevent leakage, this European-inspired luxurious door instantly creates a sophiticated custom-look style for your bath at a fraction of the cost. All installation hardware is included. This model is reversably configured for left or right hand installation, and includes a 2.5" low-profile acryclic base, center drain.